POP! 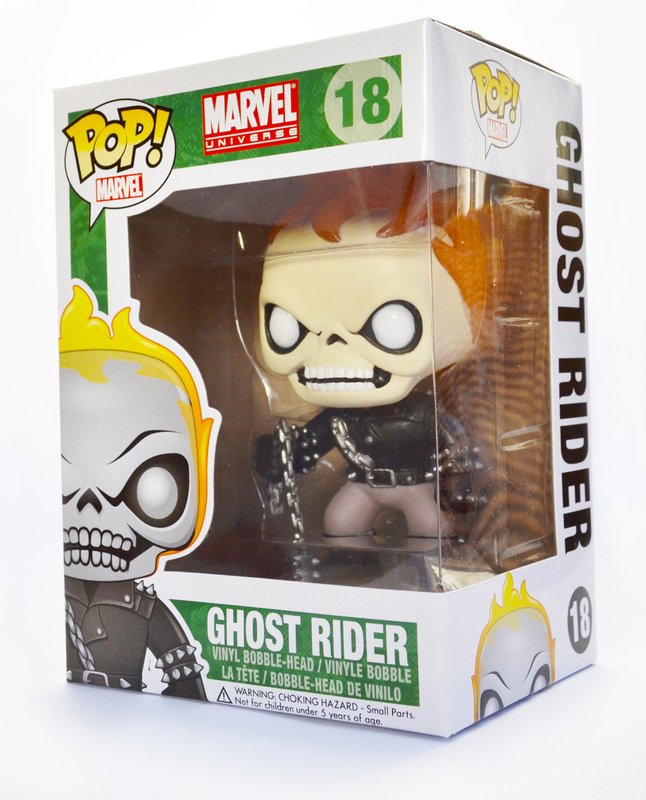 Ghost Rider | 'TAIN'T THE MEAT… IT'S THE HUMANITY! With a range of characters now numbering well into the hundreds Funko‘s dominance of the vinyl toy market continues unabated. Modelled in the chibli style Funko’s diverse collections cater to every taste, from Disney to Star Wars, The Simpsons to Tupac Shakur and almost everything in between. My collection only numbers in the dozens, making me a rank amateur among serious collectors, and when I say serious, I mean serious – just check out the POP! Facebook page to see what I mean. Unsurprisingly, most of the toys I own are from Funko’s Pop! Heroes range but despite being a life-long Marvel Comics fan most of the POP!’s I own are from Funko’s DC Comics collection. For some reason I’m not really attracted to their Marvel range, probably because most of them are bobble-heads and I’m not really that keen on them. 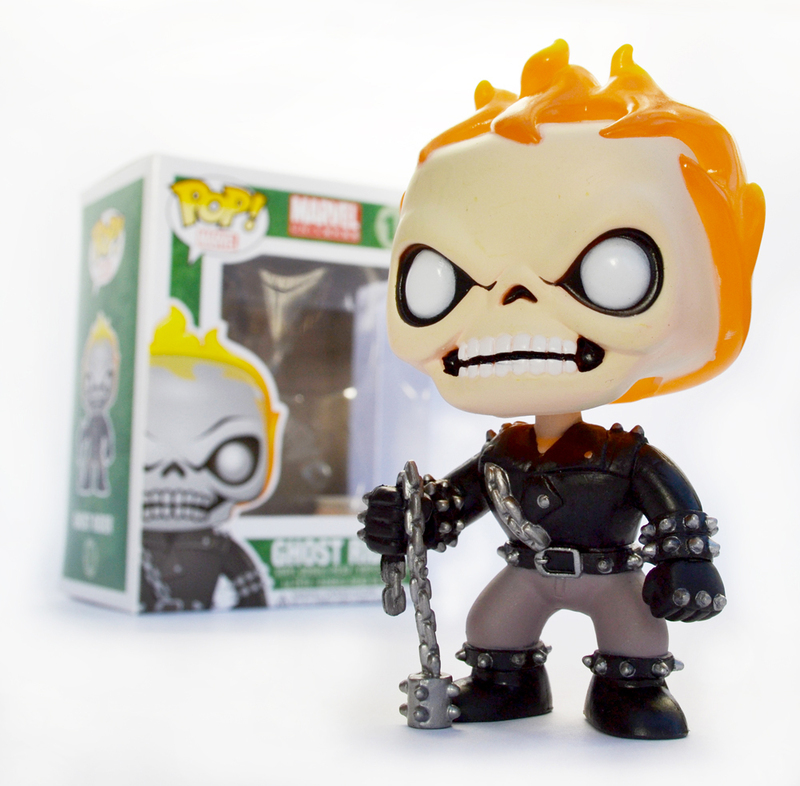 However, I am a massive fan of all things Ghost Rider so when I saw this version of the little flame-headed demon I couldn’t resist. Measuring five inches this figure is a little taller than the other toys in the range, but like them he’s made of sturdy vinyl. I particularly like the attention that’s been paid to his flaming head – the flames are semi-translucent with a nice opaque effect at the tips. 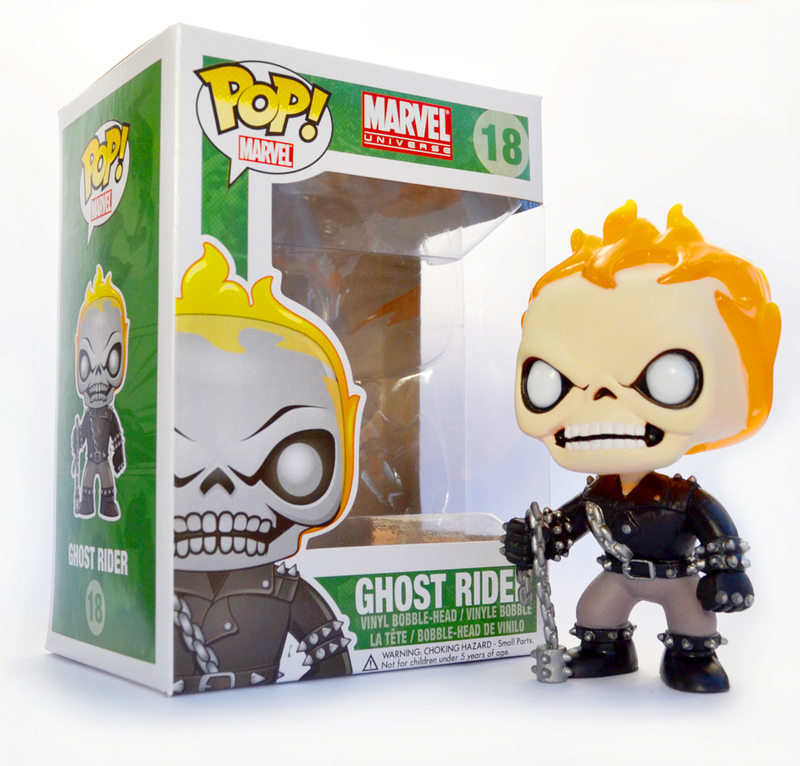 My Ghost Rider toy now has pride of place on the desk in my office and I like it so much I may well go back and revisit some of the other toys in Funko’s POP! Marvel range. But in the meantime I’ve just ordered two more toys from Funko’s POP! Television collection: Beavis and Butthead. I’ll post images as soon as they arrive from the States (click here).